England wins the toss elects to field Bailey(au) happy wanted to bat anyway. Controversy: James Taylor (Eng) probably robbed of a century as he was run out on 98 from a ball that should have been dead. He was given out by the ground umpire LBW which was found by the third umpire to be not out. At that point the ball should have been dead and so he should not have been run out. Thems the breaks. 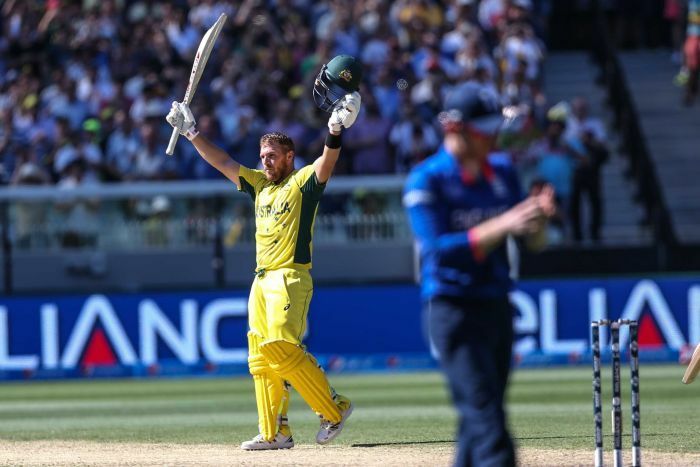 The highlight was Aaron Finch's 135 off 128 deliveries. Aaron Finch gets man of the match.